After her senior year in high school, Maggie Collette moved from a small-town farm in South Dakota to begin a new journey and find new opportunities in the Twin Cities. Ten years later, Collette works as an art director at Broadhead, a full-service marketing agency in the heart of downtown Minneapolis that connects “urban and rural.” She took advantage of internships and opportunities along the way to get where she is now, and believes much of her success is a result of a range of experiences during college. While participating in her high school newspaper in Mellette, South Dakota, Collette (her maiden name is “Clemensen”) was interested in becoming a reporter. She attended a ThreeSixty Journalism summer camp between her sophomore and junior years in 2007 at the University of St. Thomas in St. Paul. She stayed in the dorms on campus, a long way from home. Lynda McDonnell, the former executive director of ThreeSixty, recalls Collette arriving at camp recognizing how important gas prices were for teens in rural areas. By interviewing teenagers at gas stations, she put together a well-written piece during camp, McDonnell said. “I was so impressed by how she calmly, quietly, intelligently worked her way through challenging tasks, new environments and new groups of people,” McDonnell said. During her senior year in 2009, Collette was awarded the ThreeSixty Scholarship, a four-year, full-tuition scholarship to study Communication and Journalism at the University of St. Thomas. During her time at St. Thomas, Collette was involved in extracurriculars, jobs and internships, including working for TommieMedia, the university’s student-produced news organization, the university yearbook and St. Thomas Magazine. She later returned to ThreeSixty as an advertising intern in 2012. During spring semester of her freshman year, Collette applied for an internship recommended by an administrator in the University Relations department, which would later result in her earning a design degree at St. Catherine University, just down the street from St. Thomas. Collette changed her focus to advertising from reporting about halfway through her sophomore year. A major part of Collette’s success stems from her lengthy resume. “Every year I had an internship,” she said. 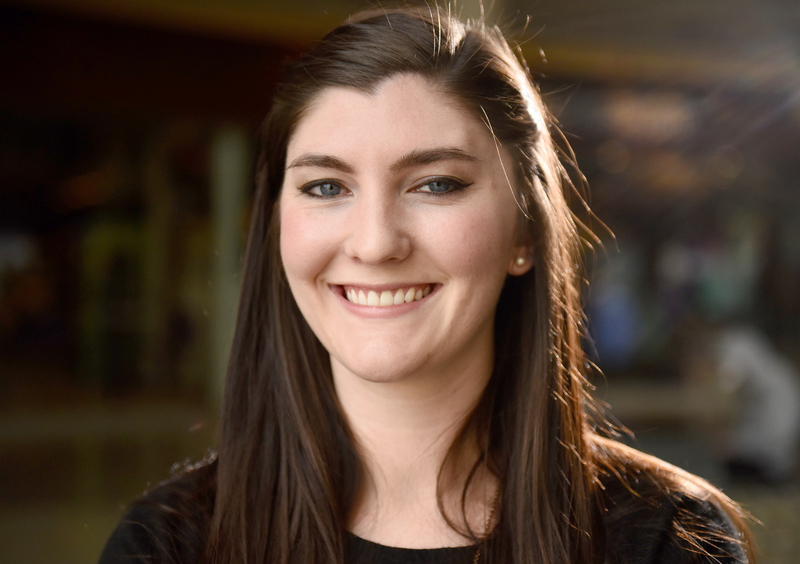 Collette interned as a digital copywriter at the Minneapolis Star Tribune and as an interactive designer at Broadhead, which hired her after graduation in 2013. She started in that role at Broadhead, where collaboration is a big part of the job, she said. With a work-hard, play-hard mentality, the ad agency has a different culture from other organizations she had worked. “It’s a lot of moving pieces that all come together nicely,” she said. At Broadhead, Collette is now transitioning into a strategist position. Taking advantage of the opportunities she’s gained in the Twin Cities, Collette uses her experience from back home to assist her clients, mostly agricultural companies, which keeps her connected to home while working in the big city. In high school: Graduated with a class of 19 students; started a small business screen-printing T-shirts for sports teams, scrapbooking clubs and family reunions; earned the ThreeSixty Scholarship in 2009.